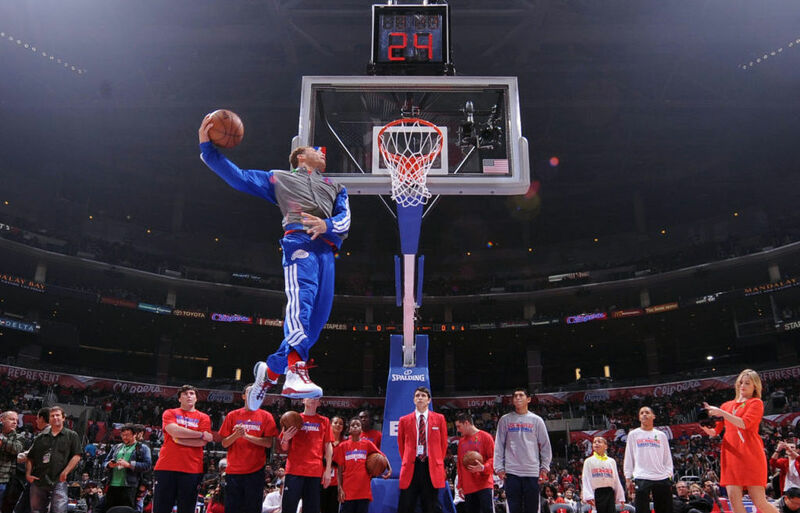 Blake laces up festive Super.Fly in Clippers' 14th straight win. 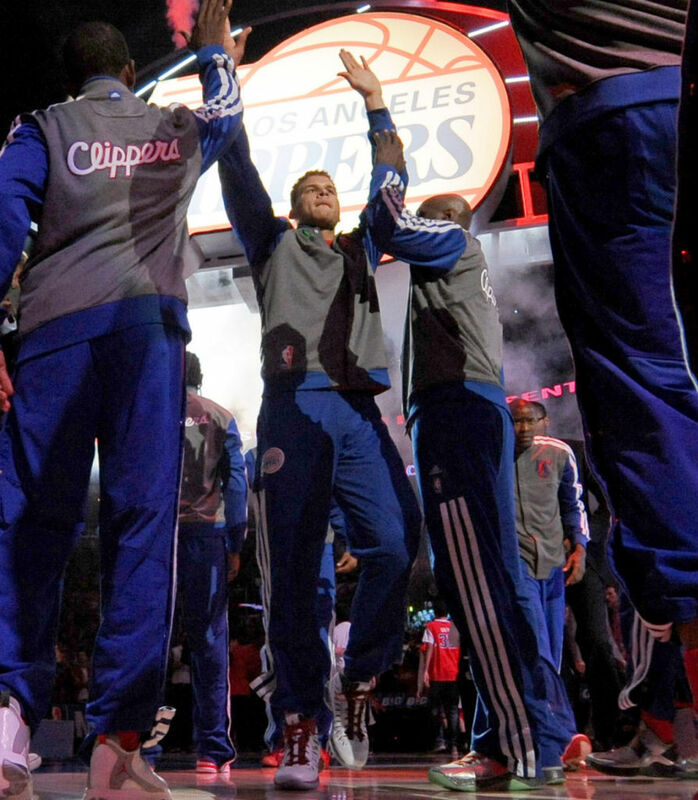 The Los Angeles Clippers are currently in the midst of a historic run, rolling off 14 straight victories for the first time in franchise history. 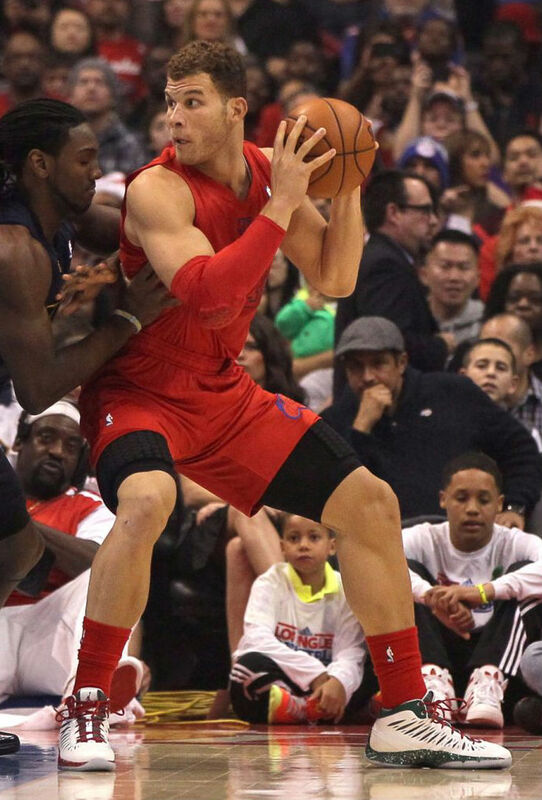 To keep that streak alive, the Clips put together an impressive Christmas Day performance against the visiting Denver Nuggets, coasting their way to a 112-100 victory. 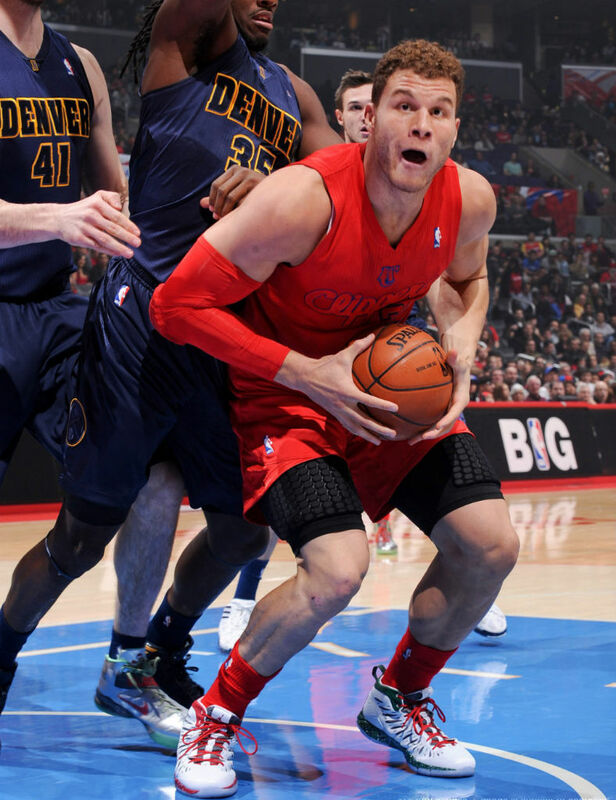 Helping lead the way for Los Angeles was forward Blake Griffin, who put up 13 points, 6 rebounds and 6 assists in just 25 minutes of action. 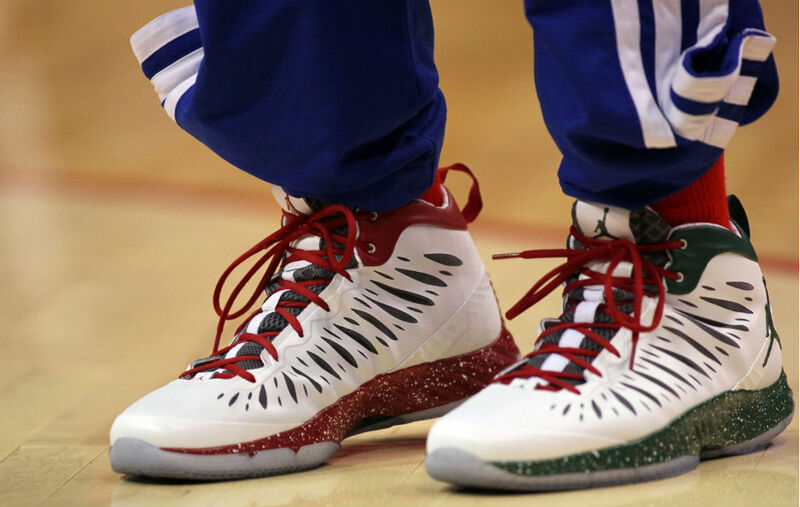 In his first Christmas Day game under the Jordan Brand, Griffin did double duty, starting the game in a "Christmas" colorway of the Super.Fly before making a halftime switch into his usual Aero Flight. By now you've already seen enough of the latter, so here's a closer look at the Super.Fly. 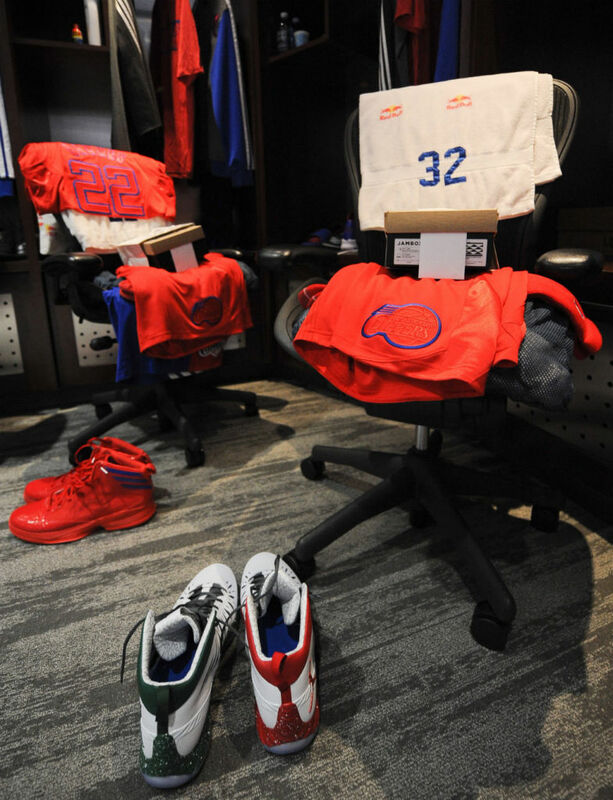 Continuing with the theme used on Melo and CP3's sigs, Blake's Super.Flys are white-based with red and green accents. Elephant print lines the interior, white speckles create the effect of snow on the midsole and translucent outsoles wrap things up below. 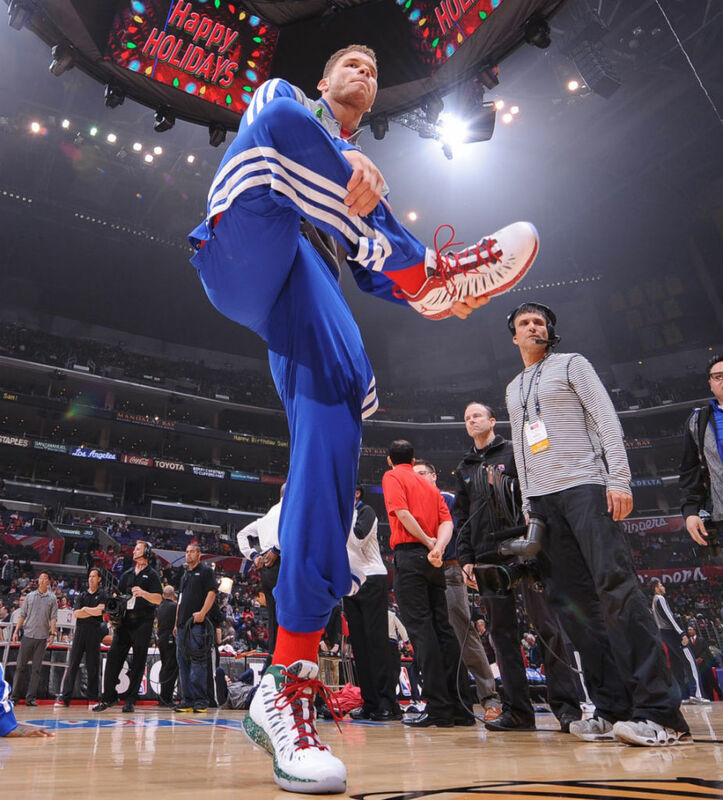 Read on for game shots and detailed photos of Blake's "Christmas" Super.Fly.